People around the world are increasingly interested in the consumption of sunflower oil and their demand is increasing. The oil is a semi-dry oil with good quality and is easy to refine in the industry. Its linolenic acid content is only 0.2%. It has good dry oil properties. It is used as a raw material for paint and will not deteriorate due to the continuation of time. For leather making, it will make the leather tough and soft. It is also an important raw material for cosmetics, printing oil, margarine, cakes, plastics, resins, film, polyester, lubricants, spices, soaps, lecithin and candles. In the pharmaceutical industry, linoleic acid can be extracted to make antihypertensive drugs. Edible sunflowers are extremely versatile, and sunflower seeds contain 21% to 30% protein. It is a popular snack food that people like to eat. American medical scientists have studied the relationship between 34,000 people's recipes and their coronary heart disease for 6 years. As a result, the only foods that can effectively prevent heart disease are nuts (sunflower seeds, etc.). Sunflower oil refining. People who have never eaten such nuts have a 100% risk of heart disease, while those who insist on eating nuts at least once a day have a 47% risk of heart disease. Within a certain limit, the more you eat nuts every day, the less risk you have for heart disease. Sunflower by-products are excellent feeds and have a variety of uses. The husk of oil sunflower seeds accounts for about 20% of the weight of the seeds. The husk contains 13% crude protein and 2.7% crude fat. It is used as a feed for appetizing and moistening, and the cost is low. In the industry, activated carbon is produced from a sheath, and furfural and acetone are extracted, and the fiberboard can also be pressed. After pressing the oil, the cake contains 30%~36% protein, 8%~11% fat and 19%~22% starch. It can be used as a raw material for making soy sauce and vinegar, and also a concentrate for raising poultry and livestock. The sunflower disk is a good feed for pigs and cattle. The flower plate contains 7% crude protein, 6.5% to 10.5% crude fat, and 40% to 48.9% coarse starch. The crude protein content is similar to that of oatmeal and barley, while the crude fat content is more than twice as high. The ash contains a lot of calcium. The disk is rich in pectin and can extract pectin from the disk. The roots, stems, leaves and seeds of sunflower are all medical materials. The phospholipid produced by refined sunflower oil and the calcium phytate extracted from the oil residue can be used for the treatment of nervous system deficiency and dysplasia. The inositol produced by reprocessing is a precious medicine for treating hepatitis. 1) China's sunflowers started late, and the research and extension forces are relatively weak. Although due to the development of sunflower in recent years, the strength of human investment in various units has been greatly strengthened, but it is still unable to adapt to the needs of sunflower development. The research department's awareness of new achievements is not strong enough, and the research units have not really got rid of the model economy, and lack of research and management of compound talents. 2) There are still some gaps in the performance level compared with advanced countries. For example, some varieties have higher plant heights, and the oil content needs to be further improved. The yield potential also needs to be tapped. According to foreign reports, large-scale planting of 350 ha oil sunflower, the sub-real production reached 4 000 kg / ha (NS-H-27), the community output reached 5 690 kg / ha, there is no such record of high production levels in China. The research on edible hybrids is backward. So far, four edible hybrids have been bred in China, but the yield and quality have yet to be improved. The current promotion area is still small. From the current edible varieties, some are more mixed, and have not adapted to the varieties of summer sowing. In recent years, the benefits of replanting sunflower after wheat have been better, and the area has been continuously expanded, but there are fewer hybrid hybrids for multiple cropping. There are still some gaps in some areas of research. In recent years, in some sunflower producing areas in Jilin and Inner Mongolia, large losses have occurred due to the large-scale occurrence, and the serious yield loss of the plot has reached 40%~50%. At present, there is no promotion and application of anti-industrial edible varieties in China. 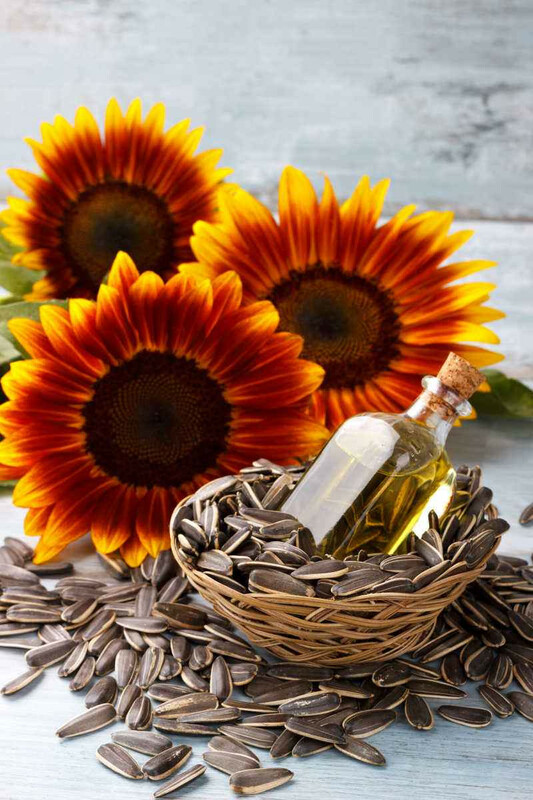 Regarding the oleic acid and linoleic acid content of oil sunflower, the quality breeding of the protein content of sunflower is not really carried out.